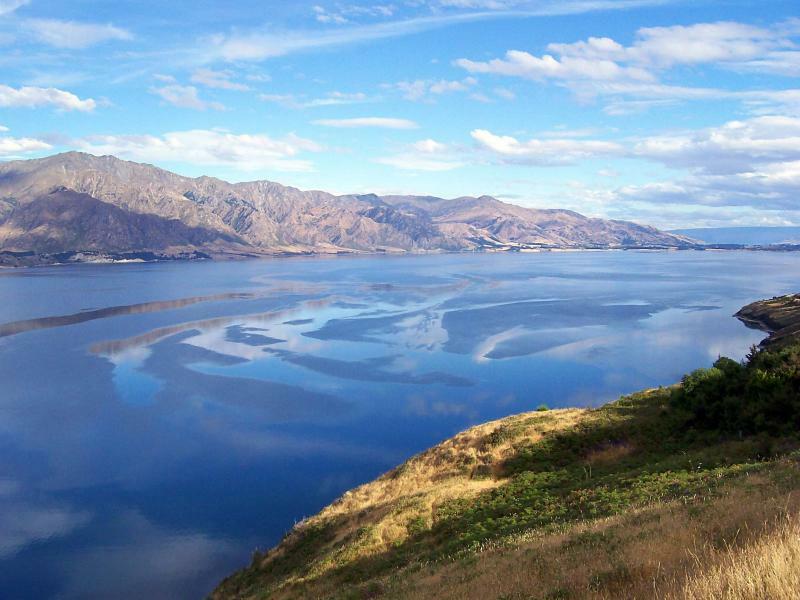 New Zealand’s South Island is all about the journey. Here, you can ride on dreamy railways across the untouched wilderness, take a helicopter ride to a remote glacier, relax on overnight cruises through surreal fjords, and cruise on alpine roads past turquoise lakes. 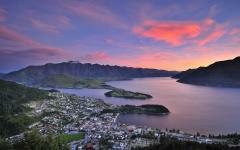 The destinations are also something that will have you dreaming about New Zealand for months to come. You can see villages with a mountain view, quaint cities of 19th-century heritage, and towns that are perched on lakes and beneath glaciers. Combine all these majestic highlights on this two-week, best-of tour that connects both nature and culture. Consider seeing the other trips to New Zealand's South Island we offer on Zicasso. 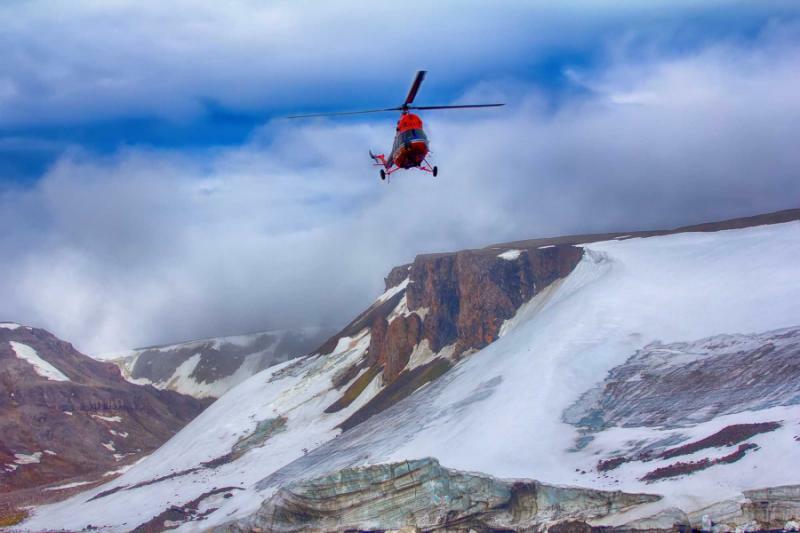 Mountains will shimmer with white through panoramic train windows, and glaciers will crunch beneath your feet on a heli hike, which is a hike that you will take on a glacier after a helicopter drops you off at the site. Lakes will stretch still and blue towards the horizon, and fjords will roll endlessly beneath ragged peaks. 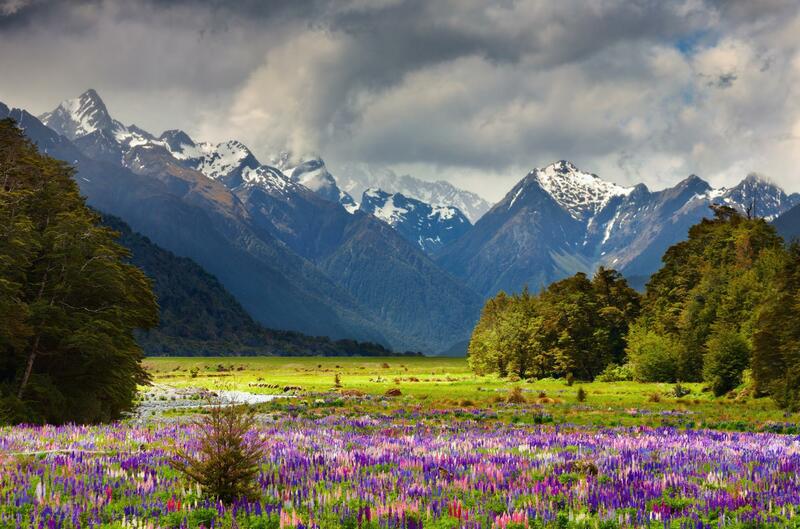 Welcome to Te Wai Pounamu, New Zealand’s South Island, where over a third of the landscape is a national park, and almost everywhere has a wilderness tinge. On this remarkable island, the journeys will always be experiential. You can watch how landscapes change on twisting alpine roads, take helicopters and boats to icebergs and glaciers, gaze across jaw-dropping lakes, and come to love Te Wai Pounamu’s scenic diversity. 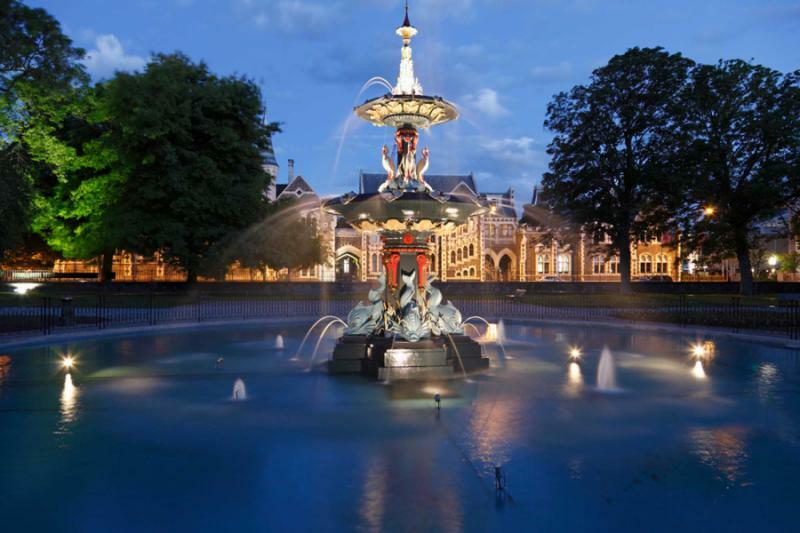 A vacation here is always an adventure, and this two-week tour will take you on a loop around the island, starting and ending in Christchurch. Handcrafted to fit as much as possible into two weeks, this private tour has everything from penguins to Scottish heritage and remote sounds to the highest lakes. 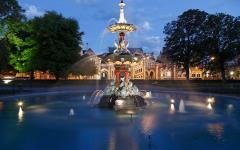 Christchurch is a relaxed city for overcoming the jet lag. Witnessing what the city is becoming is aan excellent introduction to New Zealand. 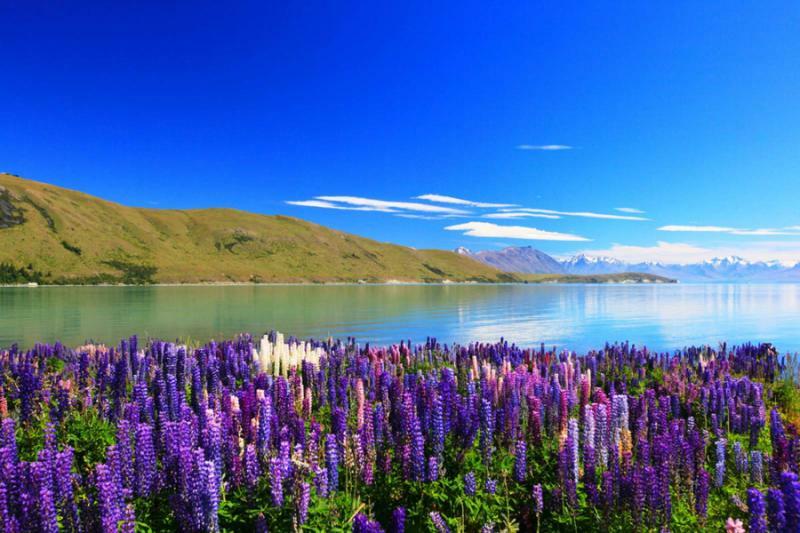 You will travel westwards past Lake Tekapo for two nights in Mount Cook Village, where a boat tour will provide iceberg encounters, and a helicopter flight will offer unrivaled views over Mount Cook and the Fiordlands. From dramatic to rustic, the scenery changes on route to Dunedin, which is a town of unique Scottish heritage. Explore at your leisure on day five and then take a boat trip to see penguins on day six. Next, you will board the Taieri Gorge train towards Queenstown, where two nights will bring serene views and your choice of adventure. The fjords are nearby, and you will soon be immersed in them on a luxury, overnight cruise in Doubtful Sound. 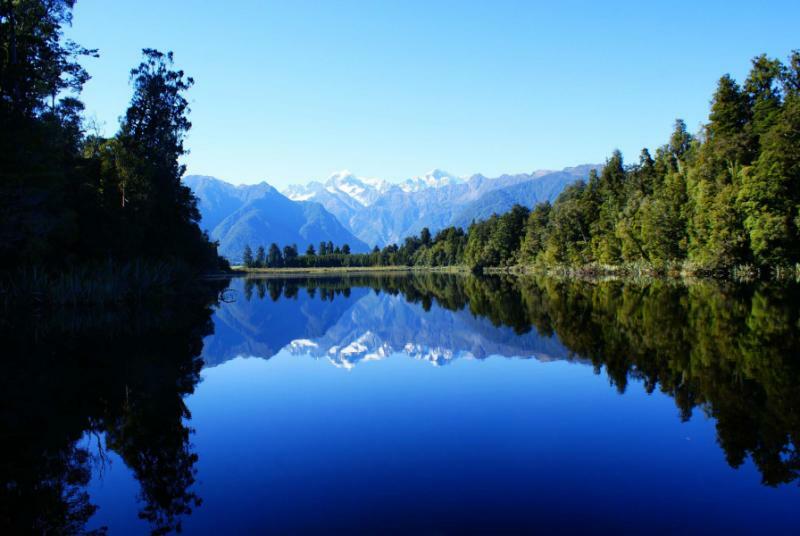 Of all the New Zealand experiences, this regularly comes out as number one, as it is an exclusive journey into nature’s mystical realm. Now you will travel back North, passing a series of lakes on route to Franz Josef, where the adventure will accelerate during your heli hike. You will then return to Christchurch via Greymouth and the TranzAlpine train, ending where you began. Although this is a lot of island to cover, you will have two nights in each destination, so there will also be a calmness and tranquility to complement all the exploration. 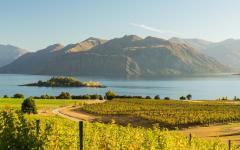 Consider reading some of our travelers’ New Zealand tour reviews for more ideas to perfect your dream vacation. New Zealand’s South Island is a long way to travel for almost everyone. A little jet lag is almost unavoidable, and you will need some time to adjust before taking off on your adventure. You will be greeted at the airport by a local guide and transferred to your small boutique hotel near Cardboard Cathedral. Its central location is ideal for self-exploration, and you will find a wide variety of cafes, restaurants, and bars that are within walking distance. Today will be at your leisure, and the city’s easy-going style will help you come around after a long flight, and as you will find out, this easy-going style is a quintessential highlight of the entire island. Spray-painted murals will cover the ruined walls across Christchurch, as local graffiti artists create beautiful murals now that the earthquake dust has settled. The original cathedral is still a shell, but a cardboard (wooden) version has been constructed. On a guided, half-day tour, you will trace the storyline through a tireless city, seeing ruins and reconstructed beauty throughout the entire journey. Afterward, you will head to the International Antarctic Centre for an entirely different experience, where you will place your feet in snow and ice in a simulation room. Along with restaurants serving the island’s classic lamb dishes, there are some excellent local bars for the evening’s relaxing adventures. 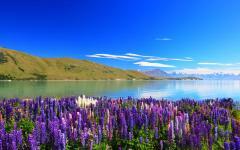 Turquoise and tranquil, Lake Tekapo stretches out beneath snow-cast mountain slopes. Its glassy water surface will seem unbroken, even when the wind whistles quickly past your ears. 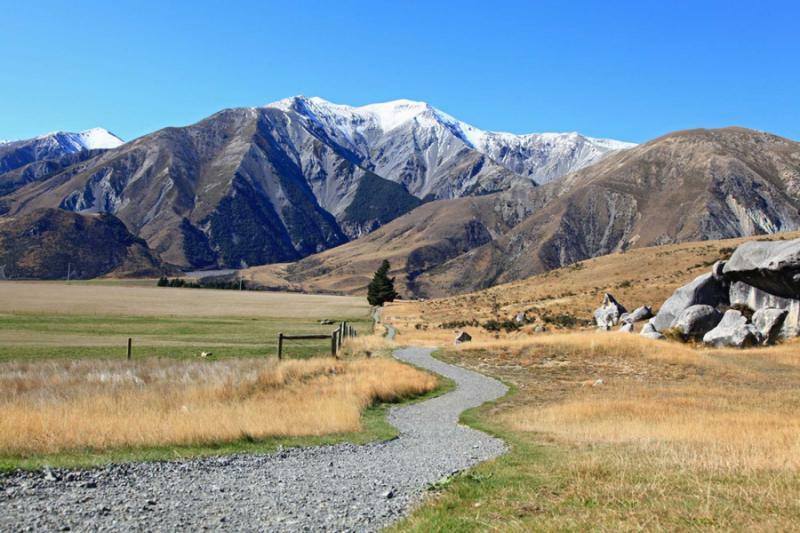 There is a short walking trail you can hike, or you can just stop for some photographs at the various viewpoints before the road winds uphill to Mount Cook. In the alpine zone, all is still other than the occasional crack of ice beneath your feet. You will check into a wooden cabin and hike one of the various trails, including one that crosses narrow suspension bridges to a lake that is populated by icebergs for half the year. Tonight, you will be guided beneath the stars, observing the Southern Sky from Mount John Observatory and appreciating what you can see in a gold-rated, dark sky reserve. Countless peaks will rise raggedly beneath the propellers of your private helicopter ride. Snowfall and glaciers will glisten in the morning light. 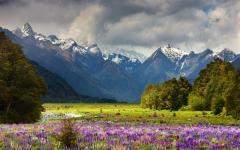 To one side the wilderness has no end and high peaks cascade towards the Fiordlands. Lake Tekapo is also illuminated from this height, and as you swoop around Auraki, you will explore the mountain’s intimate shape and details. After lunch, there will be an alternative perspective. You will travel by boat to one of very few glaciers in the world that terminates into a lake. Icebergs will float past as ice cliffs rise to attention. It will be wild and remote and is an area unseen and inaccessible without a boat tour. As you disembark, you will take tentative steps onto the country’s largest glacier. 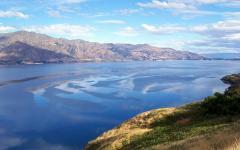 Nestled between mountain and lake, Omarama basks in its scenic location. Draped along the coast, Oamaru delights in its explorer’s heritage. 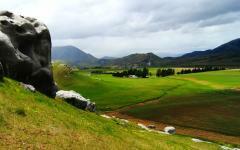 There is also scenic splendor here, particularly at Koekohe Beach and the Moeraki Boulders. Like most of the road journeys on this tour, you will not travel directly to the next overnight destination. Short stops like Omarama and Oamaru will help you see everything the island has to offer, as well as keeping the journeys manageable and engaging. As this is a private tour, there will be flexibility as well, so you choose how long to stay in each place, make fewer or more stops, and also adjust the timings dependent on your mood. Dunedin’s railway station will appear like a gingerbread house and is just one piece of the Scottish heritage that sweeps through this windswept, coastal town. Cafés and pubs will seem more Edinburgh than New Zealand, while the wild beaches and unpredictable weather will provide further similarities. It is a lovely little town to explore on a half-day tour, passing through eclectic architecture to Dunedin Harbour. From here, you will set sail as you cruise to the breeding place of yellow-eyed penguins. Sounds will be cacophonous in nearby wetlands, where birds wade and flutter colorful wings. Seabirds will dive like arrows into harbor waters, occasionally coming back up with a silver fish. When dusk arrives and the temperature sinks, there will be a Scottish style pub where you can warm up beside an open fire. Departing from the gingerbread house, a train will take you West across magnificent single-track bridges and railway sections that have been carved out from raw mountain rock. Taieri Gorge was an immense engineering feat, and you can forgive the train’s slow pace, for it is not easy to carve a route through these landscapes. The carriages are new though, keeping the traditional wood-paneled style. Rural will turn to dramatic once again as you ride all the way to Middlemarch. 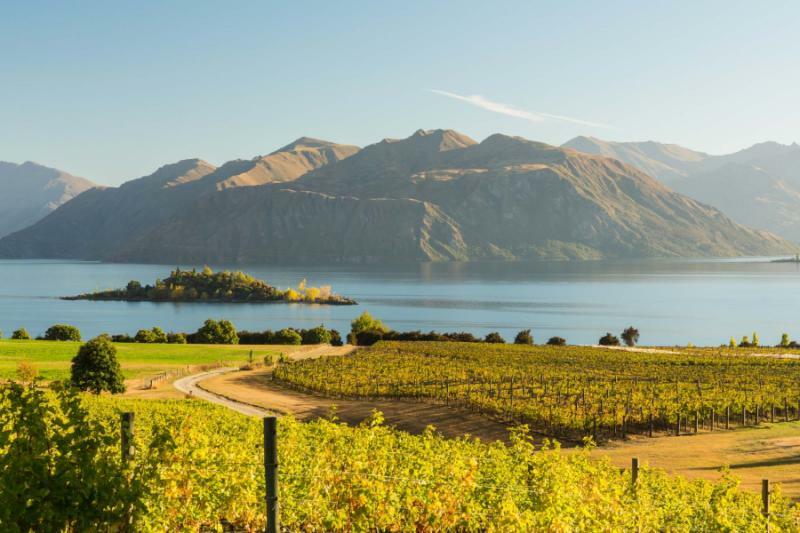 From here, it will only be a short road transfer to Queenstown, where you will gaze upon Lake Wakatipu and have a chance to explore one of the country’s finest dining scenes. 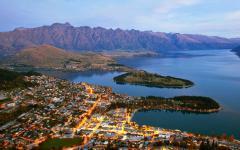 The Remarkables will rise to your North and West as snow remains on their alpine slopes year-round. 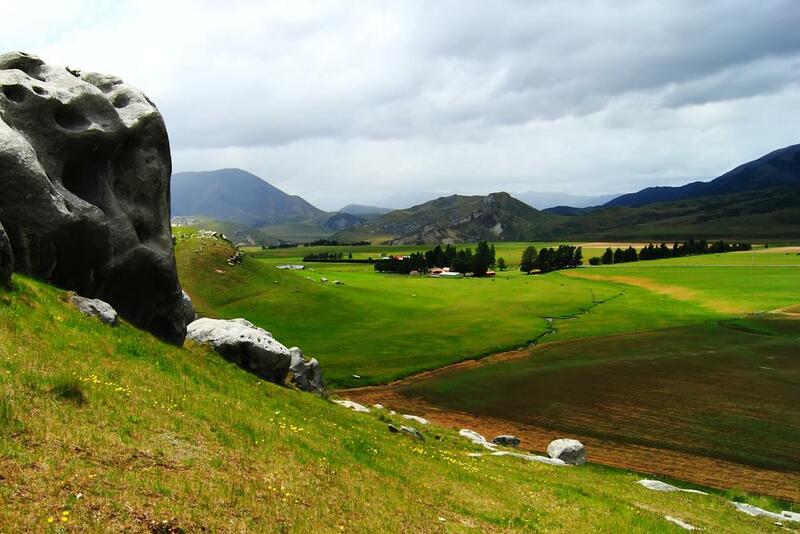 If you gaze out westwards, you will be in Lord of the Rings territory, which are surreal landscapes that you will recognize from the big screen. Located behind you will be another domineering mountain, but this one will be reachable by a hiking trail or gondola. Today will be left free, and there are many ways you can explore. 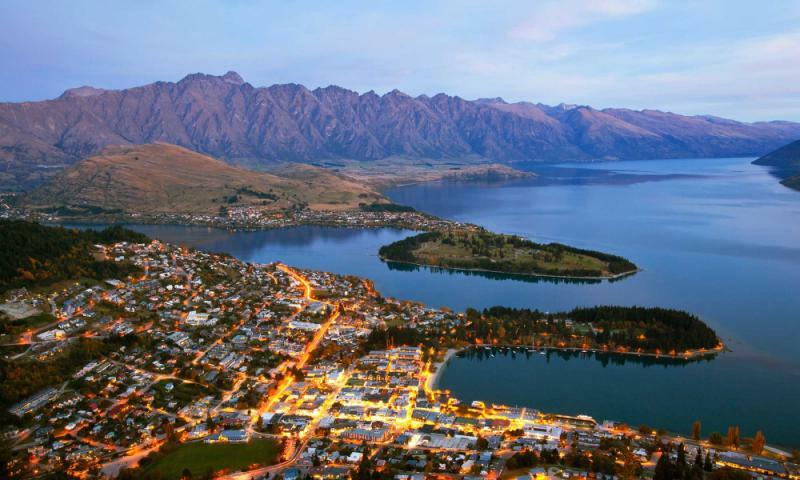 You can go on a Lord of the Rings tour, ride a speed boat across the lake or river, check out the views from the mountain, or go skiing or snowboarding during winter. If you want to sit back and enjoy the alpine air, then you will be more than welcome to relax and spend the day however if that is the best fit for you. As the mist rises, the cliffs will begin to show. Waterfalls will tumble down, mostly heard rather than seen. Gradually, the sun will break through, and Doubtful Sound will come into full view. It is a special place to see, and even more special when you wake up in the fjord. Getting to experience how the fjord changes throughout the day is the beauty of an overnight cruise. Just to reach any of the fjords will be at least a three-hour journey from Queenstown. They are located in remote and isolated places but are worth the journey. Milford Sound is the most famous and popular. Reaching Doubtful Sound will take longer, but will create a more private fjord experience. After following the shores of Lake Wakatipu by road, you must then cross Lake Manapouri by boat before traversing the Wilmot Pass in a jeep. You will set sail on a luxury vessel where bottlenose dolphins will become your neighbors. Their fins will join with penguins and seals as you travel deeper into the wilderness. On day nine, there will be an opportunity to kayak along the shoreline or to explore in a tender boat with a naturalist guide. Hearing the eerie nighttime silence will connect you to the fjord, and as you sleep the mist will roll in. After waking up in this strange place, you will have another half-day of cruising, and when the landscape is this unique, it is almost essential to have a second day on the water. 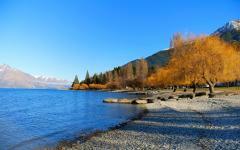 You will be back in Queenstown by late afternoon, and there are superb restaurants near the lakeside promenade. It’s a full-day journey to Franz Josef. But what a journey! Higher and higher through the mountains you go, crossing alpine passes to Lake Wanaka before climbing higher to Lake Hāwea. 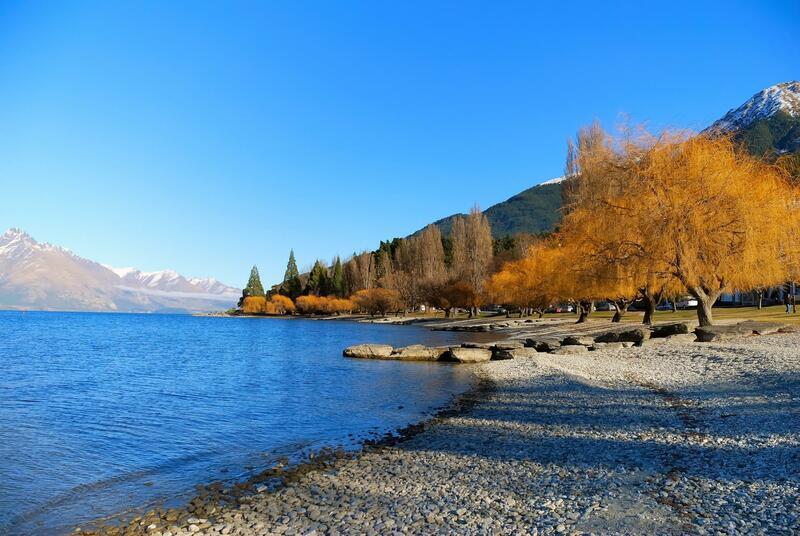 You can stop and inhale the alpine air, wander in native beech forests, immerse yourself in the World Heritage landscapes, and cross over the Southern Alps to the West Coast. Gushing waterfalls meet vast rainforests and snowy mountains on this side of Te Wai Pounamu. Waves crash onto rocky beaches, and it will seem the landscapes have turned upside down. Arriving in Franz Josef, you will be beside two glaciers, and as night falls you must check your photo roll to make sense of everything today’s journey has included. Three glacier icefalls tumble towards the town, and all of them will be beautifully illuminated on your helicopter flight. 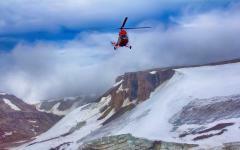 The helicopter will land on a glacier, where you will set off walking. Frozen pinnacles will drop like works of art as you admire the amazing ice sculptures that nature has crafted. Caves and crevices will reveal the Earth’s untamed power. This heli hike will kick up adrenaline and works your legs, so this afternoon, you will be able to rest your body in glacial hot pools, which are a haven of warming tranquility. 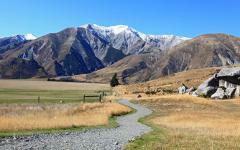 You will complete your journey around New Zealand’s South Island today. First, you will weave North across mountains and coastline to Greymouth. It is here where you will have lunch here and say goodbye to your guide before the TranzAlpine train whisks you away. From the West coast to the East coast, it is a 4 ½ hour journey. Mountains will give way to forests and then hills before the Canterbury Plains stretch out in their green glory. You will arrive back in Christchurch at 6:30pm, so there will be plenty of time for one final New Zealand dinner. 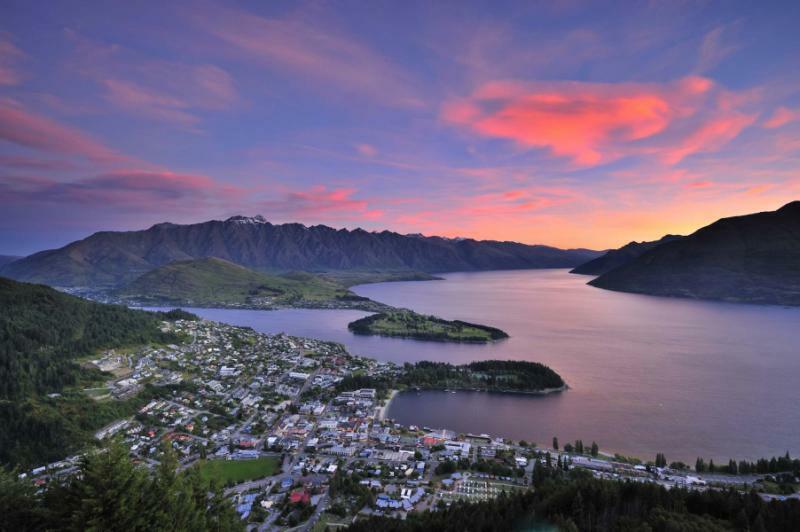 After two weeks in New Zealand, you will be transferred to the international airport for your outbound flight. "Excellent, no snafus at all."